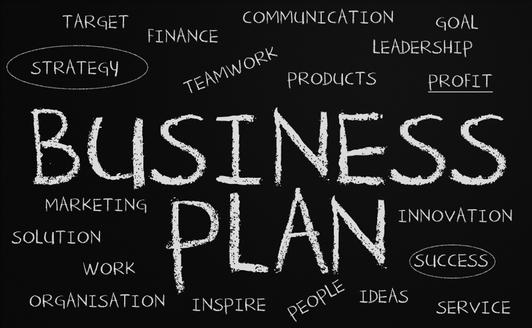 Do you know how to write a winning business plan? Do you need funding for your business? 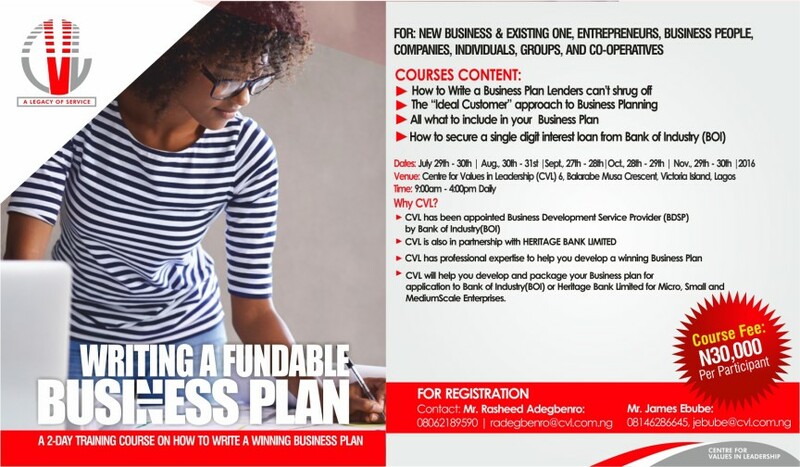 Learn how to write a fundable business plan. 2016 Dates: July 29-30 ¦ August 30-31 ¦ September 27-28 ¦ Oct 28-29 ¦ Nov 29-30 ¦ Time: 9am-4pm daily Advanced registration required. See flyer for more details. 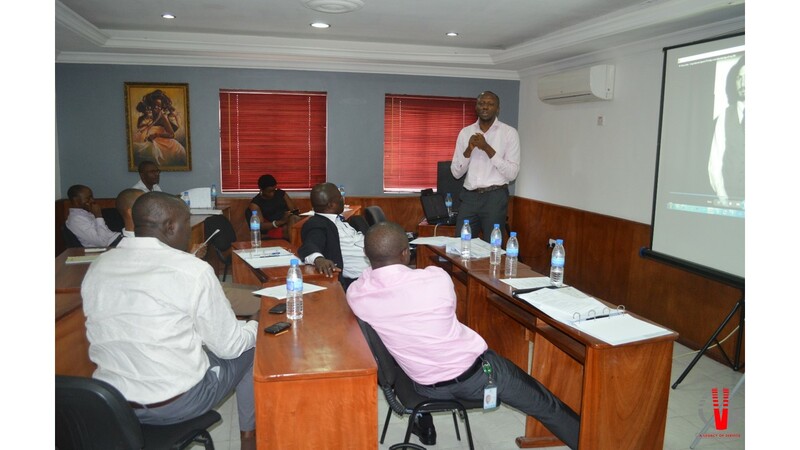 CVL is receiving applications for Pat Utomi @ 60 Business Plan Competition organized in partnership with the Enterprise Development Centre (EDC) at Pan Atlantic University. Young entrepreneurs are encouraged to apply – please see flyer for eligibility. The application form can be downloaded here. Applications must be received before the 26th January 2016 deadline.